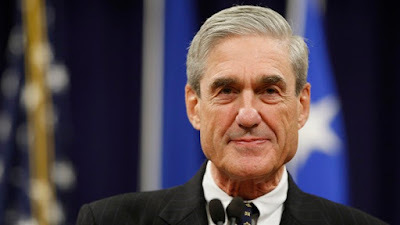 Home > Andrew P. Napolitano > feature > World View > Who Will See the Full Mueller Report? This is a dirty little secret of the American justice system. Often, the cost of defending oneself is so burdensome that a guilty plea — if not disabling to one's profession, such as law or medicine — offers a tolerable and far less expensive way out. In my years as a trial judge in New Jersey, I accepted more than 1,000 guilty pleas. I always asked if the defendant was truly guilty, and the defendants always replied affirmatively. But the guilt of those pleading guilty is often a legal fiction, practiced every day in courthouses around the United States. The reason for my criticism of the no collusion and no obstruction bandwagon riders is because we know that Mueller must have found some evidence of conspiracy and some evidence of obstruction — just not enough to prove guilt beyond a reasonable doubt. Barr tipped his hand to this when he wrote in his letter that the DOJ could not "establish" these crimes. That's lawyer-speak for "could not prove them beyond a reasonable doubt." Voicing displeasure is one thing — "wait for the full report to come out and decide for yourself if the Attorney General fairly characterized it" — revealing 6(e) materials is another. The former is protected free speech. The latter could be career-ending.